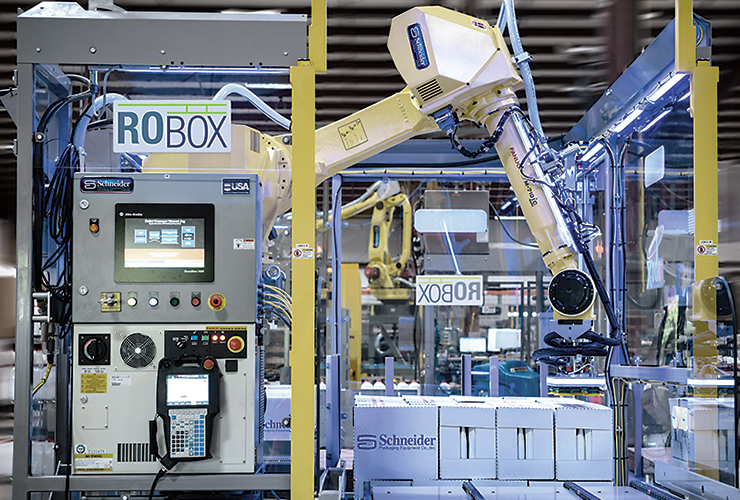 Schneider incorporates FANUC robotics to create unique, flexible and simple palletizing solutions to meet your facility and production requirements. A wide range of factors come into play when looking at upgrading the end of your line to an automated, robotic palletizing system. Trust in Schneider’s experience and the reliability of FANUC Robotics to engineer the right solution for your project. The Schneider Modular Palletizer (Robox) is our most economical and portable palletizing unit. With a compact footprint and four configurations, the Modular Palletizer (Robox) can easily adapt to changing layouts. 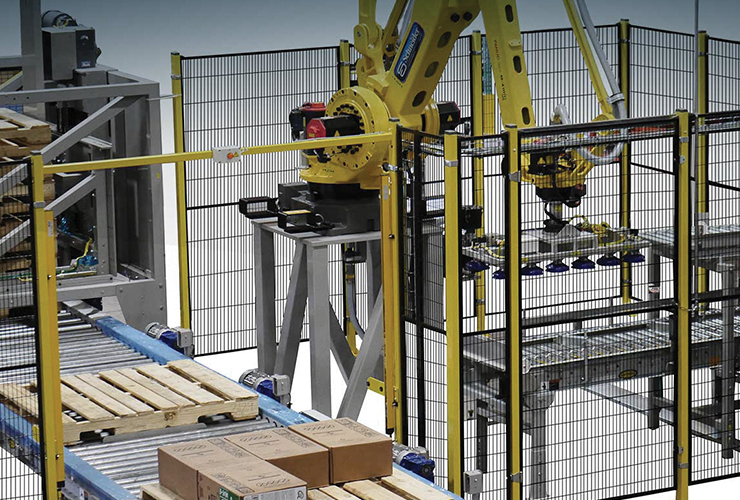 For complex palletizing environments where multiple infeeds converge into a cell, a more customized approach might be required to meet your rate and space goals. A Schneider Integrated Palletizer is able to be fully automated with conveyors, dispensers, shuttle carts, and stretch wrapping.